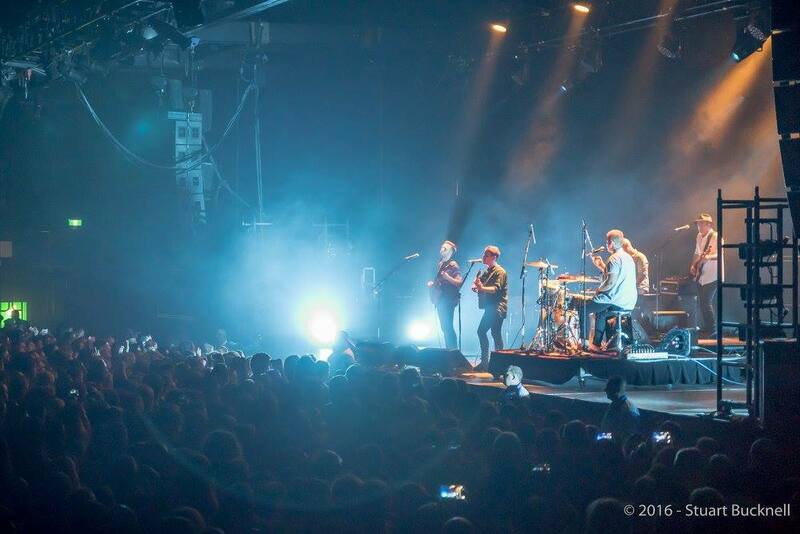 We hurried on a Friday night to the Hordern Pavilion to catch the Sydney leg of Boy & Bear’s Limit of Love tour. Unfortunately, we missed support act Montaigne but the praise heaped upon her from The Art of Sleeping and the guarantee of her amazing voice is testament to both a strong camaraderie on tour, and the real talent that we had missed. We’ll be tracking down Montaigne for sure. 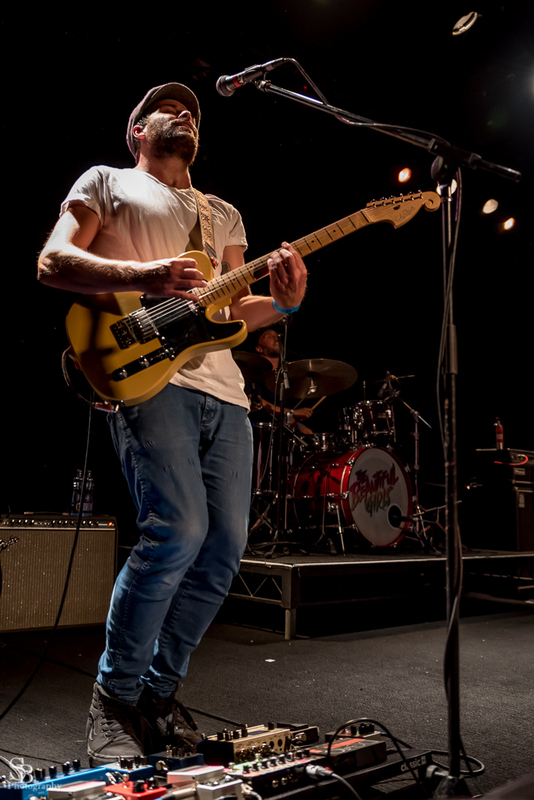 We did manage to catch the majority of Brisbane 5-piece Art of Sleeping who filled the stage with confidence, man-bun styling and a considerable bit of alternative musical goodness. Man-bun aside, their set covered both new and old tracks and was punctuated by solid rhythmic openings, glorious sliding melodies and musical tones that seems to recreate the very sound of shining light. 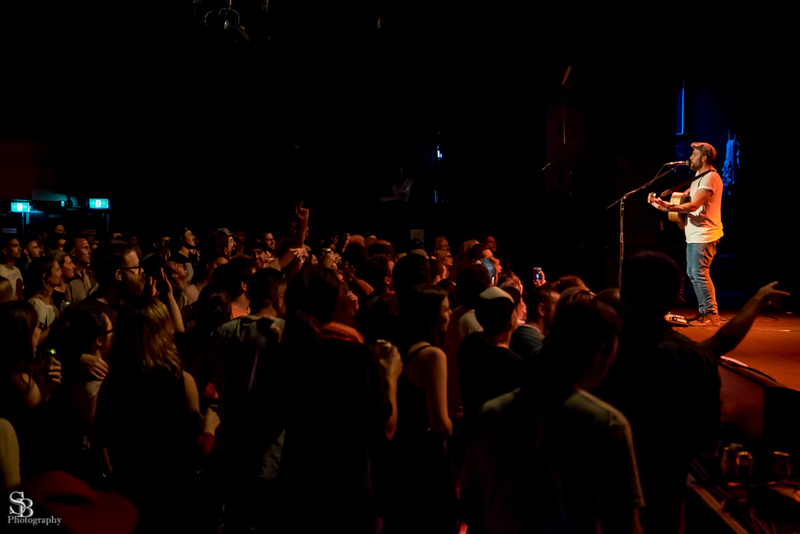 The audience had been growing throughout the set and the majority were seriously engaged with the show on stage. To round out their set, the boys played Crazy complete with bold opening solo, subsequent big sound all the time underpinned by a chilled piano melody paired with statement drums. The main event arrived without too much fanfare, just the signature opening beats of Limit of Love infused with an upbeat vibe and the Boy & Bear guys owning the stage. Their title track performance set the tone for the rest of the show and had the audience ready to roll. The first noticeable feature of the show was the very high production standards, lighting, sound and transitions between songs was flawless and smooth. It’s those little elements that make a concert so much more enjoyable and are a sign of an excellent touring collective effort. The entire show was slick and inclusive of all the band members, each having their own moments, their own feature parts and at times, and even their own lighting states at times. Stand outs included Bridges, Three Headed Woman, and Man Alone with the silence of the stage broken only by Hosking’s finger clicks. Seeing him commit his entire self to Old Town Blues showed just how the changes to the line up and the increased prevalence of his performing without an instrumented on the freedom to delve deep in to the song. All of the band members were playful and relaxed on stage, the obvious sign it’s been a good tour and everyone can play on stage in a fun way. The night was full of moments. That moment when a whole crowd moves the same to a song. That moment when every pair of lips sang along to every word. That moment when everyone in the crowd gave genuine applause for the support acts when asked. That moment when the clap from the crowd grows to a point that unites stage and audience in to one musical creation. There was a slick, cool, moody intro filled with hollow drum beats and a building echoey bass that was so atmospheric. The sheer clarity and quality of sound was evidence of an excellent sound tech I assume was travelling with them to achieve such great effects live on stage. This is a band that has reached its stride and now has a career pace that they could maintain for the veritable marathon ahead. While their new stuff is developing a new sound and direction, their old stuff is just as open to new interpretation and appreciation. Their rendition of Rabbit Song was beautiful, with a slowed bridge the seems to hang in its own air only to roll and tumble down from the stage, out across the audience. The quality of this performance brought a whole new grace and beauty to a well known favourite. Their now famed ‘Like a Version’ cover is a source of on stage jokes as they tease the audiences in each city that they won’t play it. Back to Black brought the phenomenal harmonies from their radio performance to the live stage and impresses, reminding us of their particularly tight brand of close harmonies. All the big favourites stirred the crowd, but the rumbling bass of Feeding Line had the intensity in the pavilion escalate. An epic western-alt country style opening to Golden Jubilee had everyone wondering what was coming and was testiment that the band were really having fun with it, changing it up, breathing a new life in to the song we thought we knew. By the time their back catalog had been thoroughly brought to the stage, punctuated by their new tracks from Limit of Love, it was nearing the end of a massive hour and a half set. Hosting pointed out that, from the very beginning, they are a band who never do encores. They usually make that announcement and then play two final songs, but tonight we were in for a treat with three. Big twangy chords heralded the opening of Part Time Believer that went on to treat the crowd. The synth-pop vibe of Harlequin Dream countered the encore feel with their surprise sax player turning up on stage to play that interlude live! The announcement of last song rightfully drew huge applause as they broke in to a final song from their new album, Walk the Wire. This wasn’t just a good concert, this was a great show, an entertainment form start to finish. A high quality production that will stay with audiences for a long time to come. Photos from the set can be viewed on our Facebook page. I can’t believe that Twilight at Taronga has been running for more years than I have lived in Sydney for, yet it took until 2016 for me to make it to one of the famed summer series concerts. With the city reeling from an afternoon thunderstorm that threatened to close the show before it even started, we settled in under grey skies to see one of our favourite artists of all time, Josh Pyke. Having arrived later than intended, the available grass space was limited, but surprisingly there seems to not be a bad seat in the house for this annual pop-up venue. We grabbed our spot, picked up our fancy hamper, collected our Aperol Spritzs and made ourselves comfortable in time for support act Winterbourne to start. 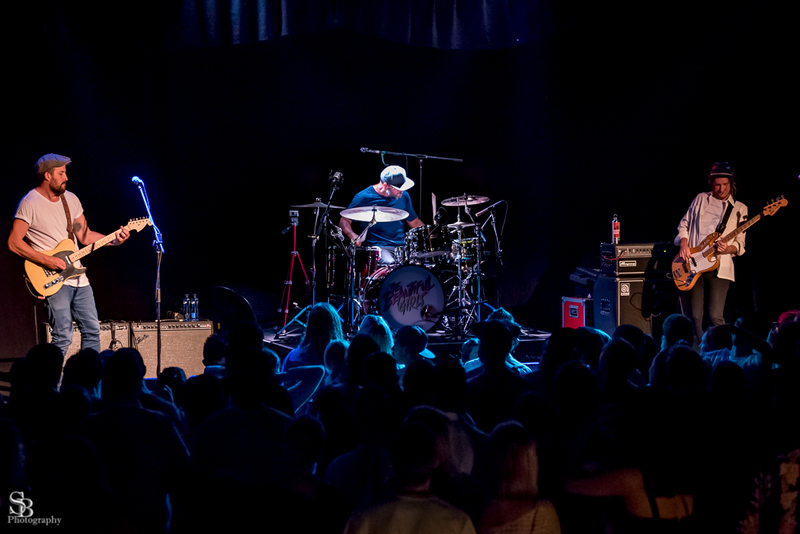 I admit, I hadn’t heard much by Winterbourne before last night, but knowing that Josh Pyke gigs are like a personal curation of Pyke’s favourite emerging and established acts in town, we knew we were in good hands. And, Winterbourne didn’t disappoint. With a smattering of recorded and released tracks to warm up the crowd (many of whom did know Winterbourne‘s work, much to their surprise and delight), the boys brought out some new songs from their forthcoming release that had the crowd hooked. As a bonus, a brand new song, not yet recorded and probably only a few weeks old, was played with the caveat that the crowd’s reaction would seal the fate of the new track – and that we should not scream and shout at the end if we don’t like it. Suffice to say, they now have a crowd approved song on their hands. I found Winterbourne had a delightful spectrum of sounds and styles to their repertoire – some upbeat tunes that would get you up to dance, some ballady-folky tunes, some shades of indie-pop and some definite Pyke-esque sounds woven throughout their playbook. Winterbourne ultimately delivered an excellent, enigmatic set that warmed the crowd perfectly for the main attraction. When I go to gigs, I usually make note of everything that is played and pay attention to which songs are highlights both personally, and for the crowd as a whole. With a consummate performer like Josh Pyke, the list is inevitably an entire list of highlights, sing alongs, huge responses and upswells from the audience and I could just resort too recounting the play list and waxing lyrical about each an every song. 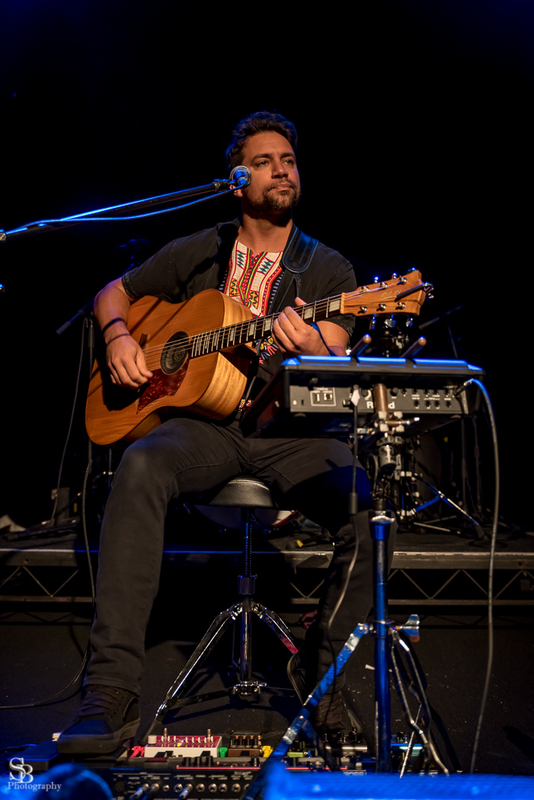 This concert was no exception, however the joy for me – apart from yet another brilliant Josh Pyke concert – is the reminder that his personality and banter on stage is the truly magical and endearing aspect of his live shows. 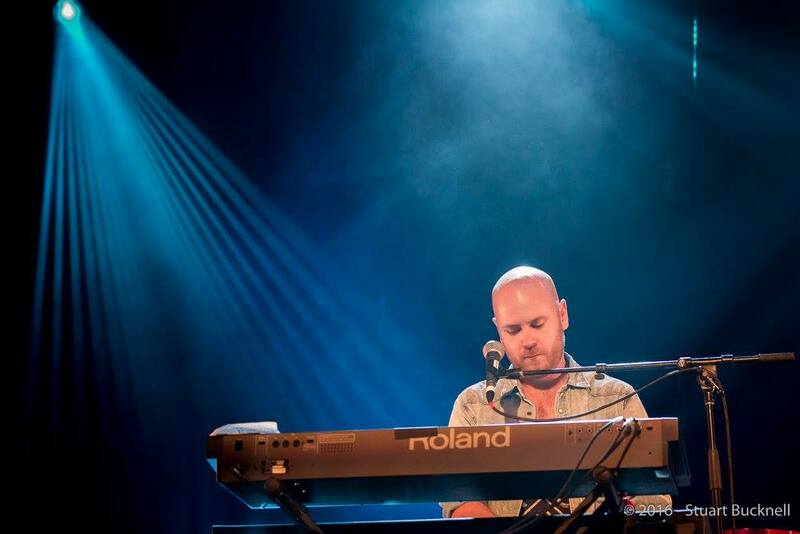 We’ve seen him in a number of settings, from large festival stages, to solo shows, from super groups, to full band concerts and even a magical collaboration with the Sydney Symphony Orchestra. But it’s the witty repartee that fills the gaps between songs and reveals his inner dork that is exactly the thing that fans love about him. We all identify with getting things in the wrong order (and jokingly giving retrospective thanks for the upcoming misplaced track), having the Sydney humidity screw with your hair do, forgetting where your hands are supposed to go on the guitar for the chords you needs mid song but pretending it’s a quiet, sing-along moment for the audience, then outing yourself after the song… Ok, we might not identify with that exactly, but it’s his good humour, cheeky comments and ultimately flawed human approach to his fans that makes us all feel like we are personal friends gathering for a get together where our mate Josh pulls out his guitar. He dedicated Leeward Side to his sons, Archer and Augie (who were in the audience with wife Sarah), which elicited the appropriate ‘aaaawww’ response and cheers from the crowd. Speaking of kids, he gave an hilarious language warning before the Lighthouse Song, which probably should have come with a language warning of it’s own. During another interlude, he asked whether anyone in the crowd did not follow him on Facebook, and for all those people to please go and immediately like his page and see if we could “crash the interweb”. Pyke announced towards the end of the set that they had a noise curfew at the venue and that he wouldn’t be doing any of that encore sh*t and to just pretend that the next song was the last if we wanted an encore. Middle of the Hill subsequently tore the house (or lawn) down and had us all cheering for more and ‘demanding’ an encore. If the admission of no encore wasn’t funny enough, his ‘faux’ encore “oh we don’t have anything prepared” hammered home his penchant for Dad jokes and familiar rapport with the crowd. From the fans dancing madly at front of stage, to us and our fellow repose wine sippers up the back, the entire sold our audience was in raptures with Pyke‘s performance. Every person in attendance would have had as enjoyable a night as us. You know it’s been a great show when on the Ferry back to the city, the couples around you are all singing their own two part harmonies of their favourite tracks, or humming their favourite melodies, or posting photos of the show to social media. 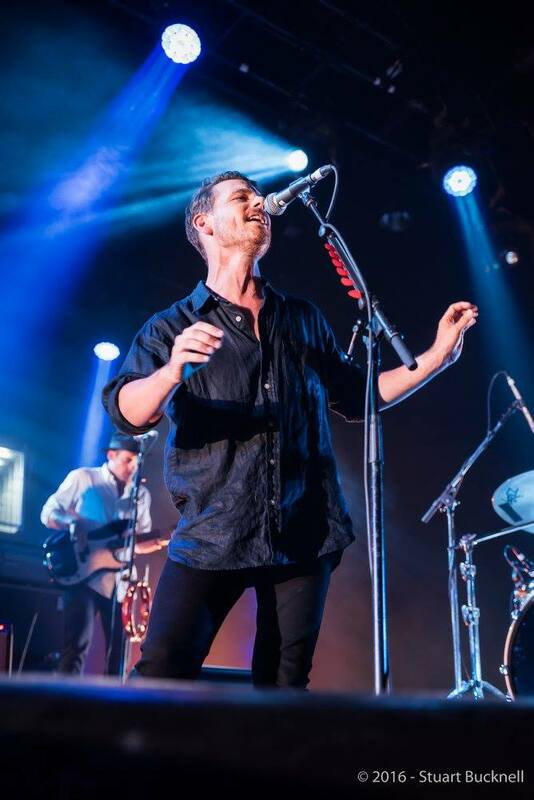 Twilight at Taronga was the first show in his new tour promoting But For All These Shrinking Hearts and continues around the country over the next month taking in Canberra, Gold Coast, Brisbane, Lismore, Melbourne, Adelaide and Perth. Tickets are available on his website. Twilight at Taronga is an exquisite concert series with a stunning backdrop, and excellent set up and is big enough to have a great vibe without having fellow music lovers in your back pocket. A string of sold out concerts limit your options for this year if you haven’t yet been, but there are definitely still some gems of the folk persuasion with tickets available, so treat yourself to some summer sounds by the harbour. Once again I found myself at the end of a Traveller & Fortune at FBi Social in Kings Cross, as the band packed up and faithful congratulated them on their show, almost apologising for the tiny crowd that had shown up that night. The Sydney live scene is a fickle thing and it boggles my mind that a band as good as Traveller & Fortune, with strong supports from Huckleberry Hastings and Emma Davis, will play to about 30 people on a Thursday night especially when they can easily fill rooms in Melbourne and their native Adelaide. But all I can think is that those that weren’t there missed out on a another amazing show. Huckleberry Hastings has become a fixture on the live scene in recent months, popping up at so many gigs around the city he’s hard to miss. And there’s a reason Hastings is everywhere – his powerful voice and heart wrenching songs are captivating. I feel like we’re just scraping the surface of Huckleberry Hastings talent and it will be really interesting to watch him grow as an artist. If I had one word of advice for Huck, it’s that he explores the major keys a little more. The final song he played in his set, a newer track that tread the familiar theme of heartbreak, was a welcome respite due to its major chords and “happier” tone. I can’t wait to see what comes next for Huckleberry Hastings. It’s so good to catch Emma Davis again. I didn’t manage to catch her recent tour with Brian Campeau but her recently released track “Stand Tall” was one of my favourite tracks of last year and gets a regular, almost daily spin on my iPod months after it was released. Her on stage presence is delightful, self-deprecating between songs and raw and honest during. In the hands of most solo singer-songwriters the electric guitar can be an unwieldy tool but in Emma Davis’ hands it becomes beautiful, understated and the perfect accompaniment to her tumbling folk songs. Most of Davis’ set was drawn from her 2010 self titled album, with the inclusion of “Stand Tall” and her cover of Sugar Ray’s “Every Morning”, and I’m really excited to see what she’s got in store for the rest of 2014. I think there are two things that make Traveller & Fortune a pretty special band. 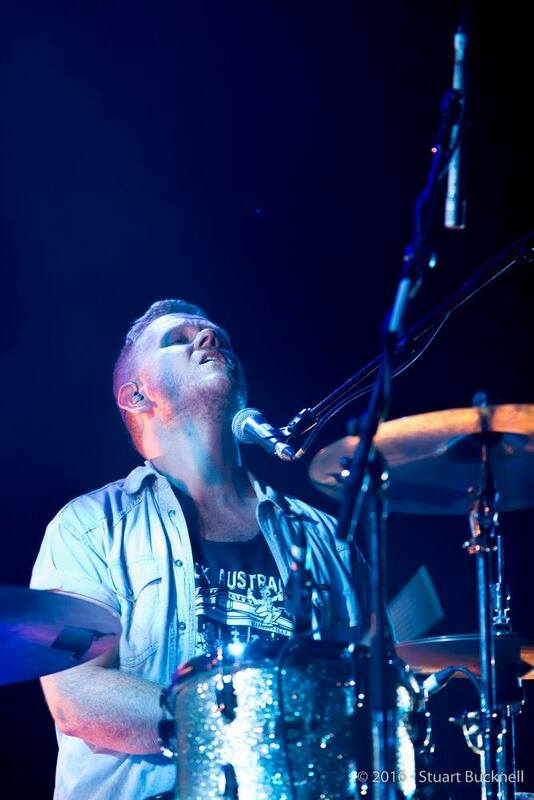 Firstly the fact that it’s made up of a collection of singer-songwriters – Tom West, Todd Sibbin and Kaurna Cronin are just three of the band’s members whose solo projects Timber and Steel has covered – yet it seems to be a group without egos. Their sound just gels with each member adding to the whole, not show boating or over reaching. Which brings me to the second reason I like Traveller & Fortune – the fact that they’re just such talented musicians. Among the band’s five members I think I counted at least nine different instruments, and that’s before you call out the different vocalists. But rather than being showy – rather than going through instrumental acrobatics in an effort to show off how good they are – Traveller & Fortune choose the right instrumentation for the song. Even if only six notes are played on a xylophone or the harmonica only makes a single appearance across the entire set, their inclusion on the songs is perfectly placed makes dragging them all the way to Sydney worthwhile. The way Traveller & Fortune layer their songs is just masterful. Traveller & Fortune were launching their new EP I Am Only Snow and I have to say I really enjoyed hearing the tracks from it live. Probably my favourite track from the night is the single “Little Plastic People”, although the entire set was a joy and I just hope they keep coming back to Sydney. And while this is the second time I’ve seen Traveller & Fortune play to a small Sydney crowd I hope this doesn’t discourage them for giving the city another chance. This band has an amazing sound and I really look forward to seeing how much they’ve grown next time they venture east. A lot has changed since the last time I saw The Little Stevies live. Their bass player Robin Geradts-Gill has left the band. One half of the sister duo, Sibylla Stephen, is a new mother. And they’ve just released their most mature album to date in Diamonds For Your Tea. So I was pretty excited to be able to catch them at Sydney’s Camelot Lounge. Opening for The Little Stevies were local duo Achoo! Bless You who were performing on the night with indie-folk go to drummer Sophia Felton on the skins. Achoo! Bless You write really sweet indie-pop folk songs and are definitely growing with every performance they do. Ash and Ross’s voices really do suit each other especially in their stand out track “Before We Say Goodbye” – these guys were a great choice as a support act. 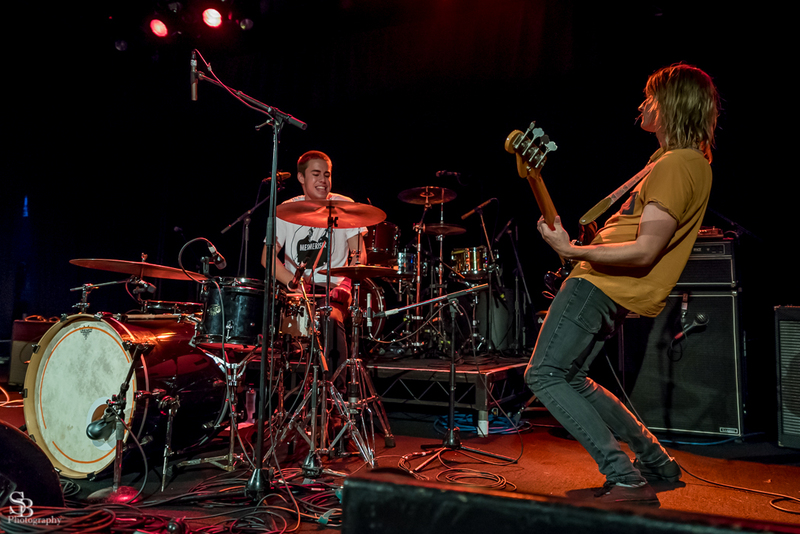 The Little Stevies, complete with a full rhythm section, introduced themselves by saying “we’re going to play you our new album” – a promise that they delivered on for their entire set. Older material was scarce with Diamonds For Your Tea really coming to the fore and the result was really special. Sibylla and Beth are obviously very comfortable in their new duo-with-a-backing-band setup and seemed to really be enjoying bringing their new material to the audience. The girls’ trademark harmonies (and relaxed banter) were in full force and despite some sound issues as a result of a lot of microphone swapping they were sounding absolutely beautiful in Camelot’s intimate space. I was especially impressed with the generous use of keyboards in The Little Stevies’ set – an instrument that hasn’t featured much in the band’s repertoire previously. Most, if not all, of the new album’s tracks made an appearance with songs like “Thunder” (which is about Sibylla’s baby – I had no idea), “Shattered Dreams” and “Canadia” clear highlights. Older tracks like “Feel It” and “Accidentally” also got an airing and “Sister” also popped up as an unplanned encore. The current single and title track of the new album “Diamonds for Your Tea” closed out the main set and was probably my favourite track of the night – I caught myself singing along almost from the very beginning of the song! It’s great to see how far The Little Stevies have come in the last year. A lot has changed – the more mature sound to the songs, the full band, the abundance of keyboard – but the key elements that I’ve always loved about The Little Stevies are as strong as ever. I’m so happy I got to see The Little Stevies again – I can’t wait until they’re back in Sydney! Living in London, you’re a bit spoiled for choice for good music and venues, but it also means you’re flat out trying to fit it all in. The Paper Aeroplanes zoomed on to my radar and I managed to make it to their London gig as part of their Little Letters album launch tour. 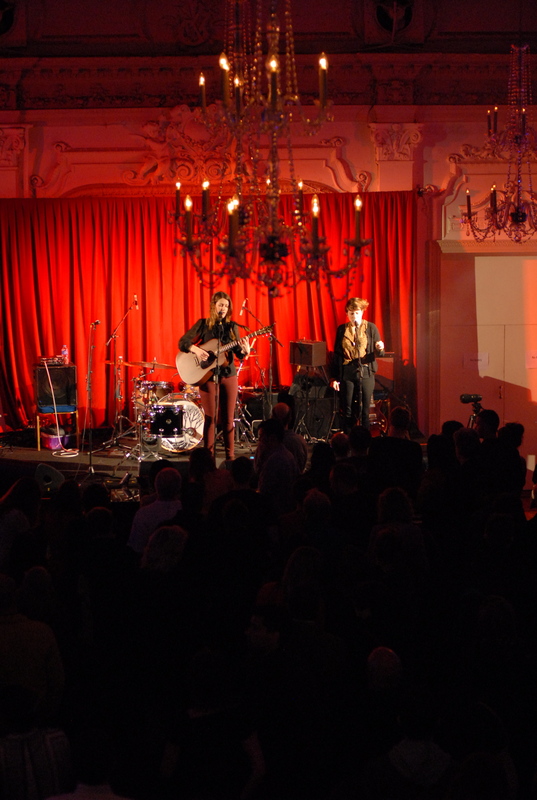 I had been to Bush Hall the previous weekend for a different event, but the elegant surrounds of such a period room managed to be large enough to host a good crowd, yet intimate enough to experience a show and see the musicians well with a raised stage bedecked in red velvet playing their host. The luxury of space and ability to cleverly use lighting created instant atmosphere which could shift mood with the music. In Sydney, you’d be forgiven, if not expected to arrive late to a gig. Unforeseen circumstances meant I arrived in the middle of the second support act, Farrow, and found the venue was already packed with an enthusiastic audience. Seems these Londoners take door times seriously. The night had started with Josienne Clarke (who incidentally just dropped an EP with Ben Walker today), who I briefly listened to online before the event and who piqued me interest. I bought her earlier EP and have listened to it so much that I’m now desperate to get my hands on her new collaborative effort. I did catch the last few songs from Farrow, a duo of two hipster chic gals who delivered a united sultry soliloquy of harmony. While they didn’t rock my boat, they did create a tranquil vibe and were a good set up for the main act. 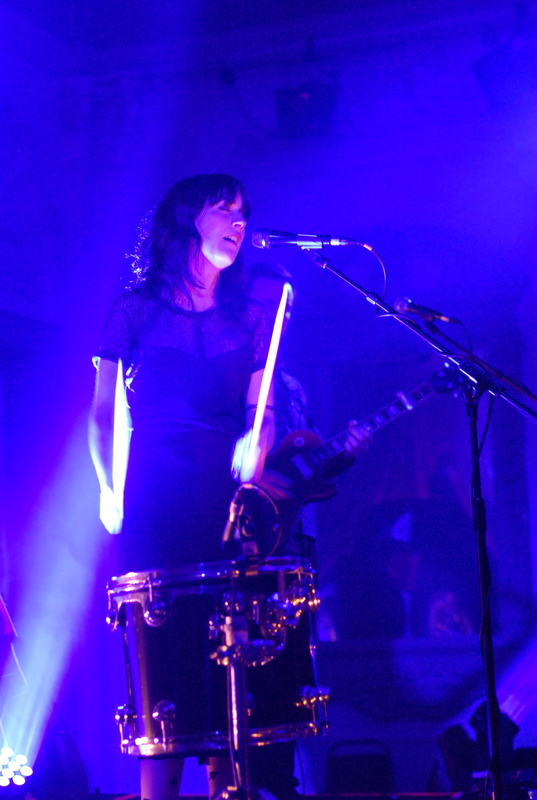 Paper Aeroplanes took the stage as a 4 piece complete with bassist and drummer As an addition to their usual duo. The beauty of this set up is that the support musicians do appear on the new album and fill out the live sound to create an honest reproduction of their recorded sound on stage. The Welsh duo only too two of their earlier songs to warm crowd up and capture our attention, then they had the audience hooked as they had us all Singing to Elvis, an up beat number creating a noticeable tendency for the crowd to sway and/or jig along. I might have been guilty and I definitely learned the chorus quickly too. Amazingly, there was a One direction moment, but not in a bad pop kind of way. while introducing their next song, they explained that it was THE most downloaded song of theirs from iTunes, it wasn’t a single or anything, which confused them. It turns out that One Direction also have a song called Same Mistake. We all enjoyed imagining throngs if 12 year olds being comforted by folk stories of love, life and experience. Album title song, Little Letters, lifted the room and carried everyone along on strength and potency of the piece. It was the song that left the gig with me and has the ability to recreate the space and feeling for me every time I listen. In an effort to keep the energy created by Little Letters, Red Rover was a really powerful, enigmatic piece that seemed to channel a Florence + The Machine moment with lead singer Sarah playing side drum instead of her usual guitar and passionately smashing out the staccato beat. When we’d arrived, we were surprised there was a grand piano in front of the stage, and towards the end of the set, Paper Aeroplanes invited a close friend to accompany them for a couple of songs. since the piano was set on the floor, Sarah stepped down on to a chair to be closer to both the piano and the crowd. The next few songs were incredibly intimate with a particular stand out, Best I Can Be, the most heartfelt ballad I have heard in a long time. So stunning and so beautiful, the audience was absolutely silent, engaged, entranced and hung on every word of the lyrics. Intensely personal and obviously emotionally raw, Sarah took a private moment to steady herself having been overcome with tears clearly moved by the truth and meaning within the song, the audience only cheered louder. A truly beautiful moment of honesty. Approaching the end of their set, they introduced At the Altar with a story that had perplexed them. A couple had contacted them asking to have it at their wedding, seemed an odd choice because the song is not about happy marriage, but they thought “stuff it, have it at a wedding, why not” and proceeded to play it for us too. The night ended with a rousing rendition of Circus, but the crowd were demanding and an encore was almost immediate. Their encore was a couple of older songs, complete with audience sing along and helping out with the oohhs of the chorus “so winter won’t come”. 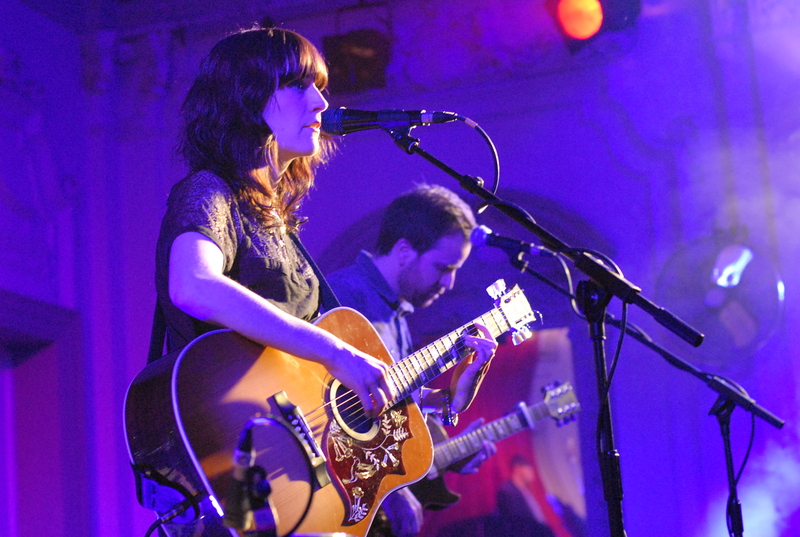 After this gig, Paper Aeroplanes became a regular feature of my daily playlist. Their album Little Letters is a more folk deviation from their indie pop past which they delivery honestly and convincingly. 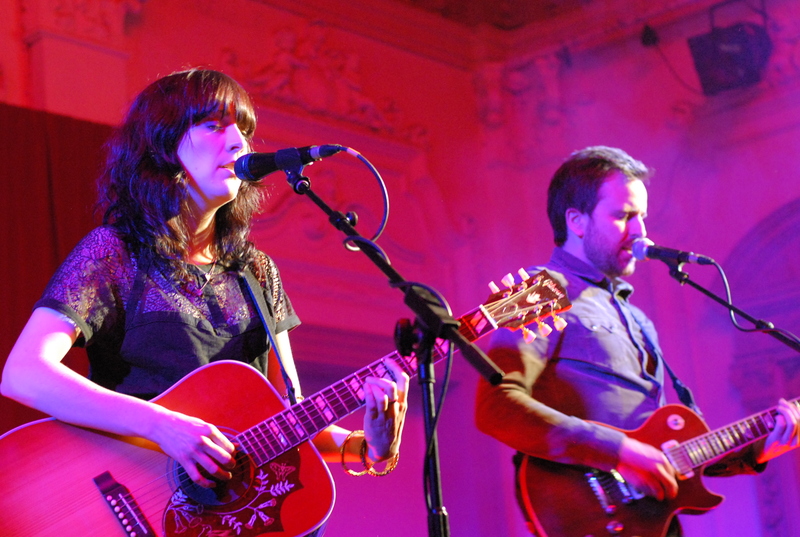 Such a brilliant introduction to their musical world really promises big things from Paper Aeroplanes. They are exactly the kind if act I would expect to see gracing Australian shores for some of our most esteemed Folk Festival. I’ll be crossing my fingers for a visit from them soon.